Welcome to the Members Only page. 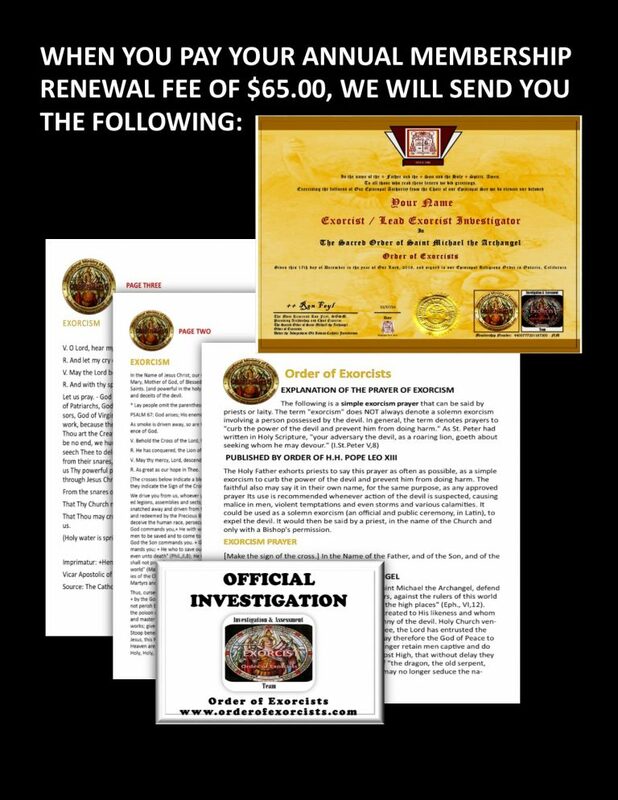 This section is being created to provide information to you and you fellow clergy, investigators & members. We eventually hope to create a password only access system to this section of the site that will prevent non-members from accessing information & materials that are intended specifically for you. Additionally, we hope to add a blog, member specific materials & supplies, upcoming events, triumphs, new additions and other information that will be newsworthy to you. Please feel free to email us with any information about your SOSM organization, and we will consider posting it when we are able. Thank you all for your support and prayers; we look forward to the year ahead with faith. hope and gratitude to our Lord Jesus Christ.